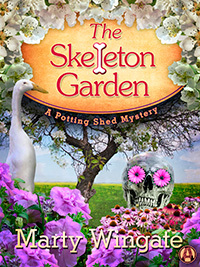 Pru Parke, middle-aged gardener from Dallas, uproots herself and moves to England to start a new life, where she finds more than she bargained for—from digging up Roman ruins in a client’s garden to taking part in an outdoor Shakespeare production. Pru Parke always dreamed of living in England. 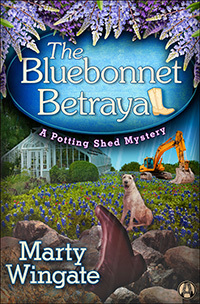 And after the Dallas native follows an impulse and moves to London, she can’t imagine ever leaving—though she has yet to find a plum position as a head gardener. Now, as the sublet on her flat nears its end, the threat of forced departure looms. 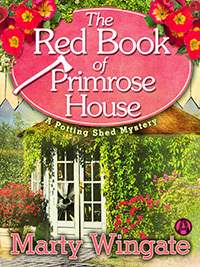 Determined to stay in her beloved adopted country, Pru takes small, private gardening jobs throughout the city. On one such gig in Chelsea, she makes an extraordinary find. Digging in the soil of a potting shed, Pru uncovers an ancient Roman mosaic. But enthusiasm over her discovery is soon dampened when, two days later, she finds in the same spot a man’s bludgeoned corpse. 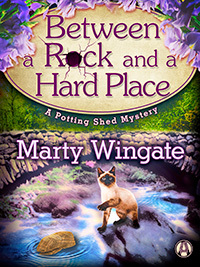 As the London police swarm her worksite, ever inquisitive Pru can’t quite manage to distance herself from the investigation—much to the dismay of stern Detective Chief Inspector Christopher Pearse. It seems that, much as he tries, even handsome DCI Pearse can’t keep Pru safe from a brutal killer who thinks she’s already dug up too much. Pru’s friends and neighbors are abuzz with the news of an acting troupe putting on an outdoor performance of A Midsummer Night’s Dream. And while many are eager to catch a glimpse of famed actor Ambrose Grant, Pru can’t wait to finally see the spectacular gardens of the private estate where the play will be performed. 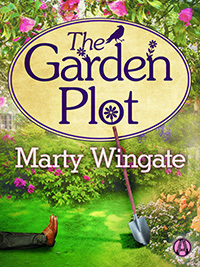 When the estate’s gardener abruptly quits—frustrated with actors trampling his beloved plants—Pru is called upon for her gardening expertise. She throws herself into creating magical woodland forest scenes, and is quickly drawn into the excitement of putting on a play, as she watches the drama on and off the stage. But the play’s suddenly no longer the thing, when one of the actors turns up murdered. 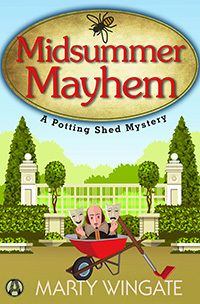 Pru’s husband, Detective Inspector Christopher Pearse, relies on Pru’s knowledge of all the players in this particular intrigue, and Pru finds herself using rehearsals to investigate. 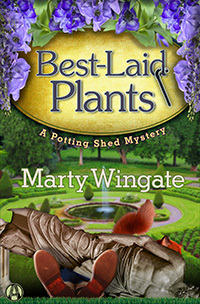 But playing the role of private eye could prove perilous for Pru, as she closes in on a murderer who won’t let anyone—least of all the gardener—keep him from stopping the show . . . dead.